Small studio apartment decorating can be challenging, especially when it comes to creating separate zones and keeping clutter at bay. 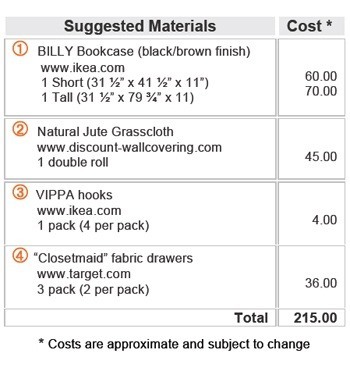 In this video, you'll see how to create an entryway using Ikea Billy bookcases and natural jute grasscloth. This bookcase room divider serves many functions, including separating the bedroom from the rest of the space, and providing extra storage, crucial to organizing small spaces. And best of all, you can take your bookcase wall with you when you move out!